not to stone . . .
And what's wrong with that? Nothing, unless you have been brainwashed into believing otherwise by those who benefit from such control. Why 'seize' cannabis plants? Why not 'seize' tobacco? Poison Ivy? Because some brainwashed subservient idiot has been told they are 'illegal' by an equally dumb subservient idiot. To Ban Ki Moon and all Heads of State: We call on you to end the war on drugs and the prohibition regime, and move towards a system based on decriminalisation, regulation and education. This 50 year old policy has failed, fuels violent organised crime, devastates lives and is costing billions. It is time for a humane and effective approach. For decades, the "war on drugs" has completely failed to curb the plague of drug addiction, while costing countless lives, devastating communities, and funneling trillions of dollars into violent organized crime networks. But in days we we have an historic opportunity to end this failed approach. Drug policy experts all agree -- criminalization has failed, and the most sensible policy is to regulate -- but politicians are afraid the public won't support change. Next week, a group of senior world leaders will break the taboo and publicly call for new approaches including decriminalization and regulation of drugs. This could be the opportunity of a generation. Let's show our leaders that the public demand reform and a sane and effective policy. We have just days left to rally behind this call to 'end the war on drugs' before the high level meeting. Sign the urgent petition now -- it will be delivered to the UN Secretary General and global leaders in New York. Current drug policies are failing everyone, but public debate is stuck in fear and misinformation. As thousands of journalists, policy experts, and social scientists have documented, the current approach -- deploy militaries and police to burn drug farms, hunt down traffickers, and imprison dealers and addicts - has been an expensive mistake. The most corrupt and violent criminal networks thrive, while addiction, overdose deaths, and HIV/AIDS infections continue to rise. Meanwhile, countries with less-harsh enforcement -- like Switzerland, Portugal, the Netherlands, and Australia -- have not seen the explosion in drug use that proponents of the drug war have darkly predicted, and instead are able to focus squarely on dismantling criminal empires and reducing the awful human costs of drugs and addiction. Politicians fear that their people will throw them out of office if they appear 'soft on drugs.' But polls show that, increasingly, citizens across the world know the current approach is not working. If we can muster a worldwide outcry to support the bold calls of the Global Commission on Drug Policy, we can send shockwaves of change through the UN and governments around the world and wipe away the stale excuses for the status quo. Sign the petition and spread the word! This is a global travesty -- we are all affected by this catastrophic policy. But now is one of those moments where global public opinion will determine the outcome. We have a chance to enter the closing chapter of this brutal war that has brought blood and tears to millions. And if enough of us raise our voices, we can push our hesitating leaders from doubt and fear, over the edge, and into reason. Let's seize this opportunity. This offence occurs when an offender supplies, or offers to supply, another person with a controlled drug. This includes distribution of a drug. The offence does not require proof of payment or reward, nor does it require proof that the offender intended to produce the drugs or had the drugs in his/her possession when making the offer to supply. An offender can be sentenced to a maximum of life imprisonment for supplying a Class A drug, and to a maximum of 14 years’ imprisonment and/or an unlimited fine for supplying Class B or C drugs. One of Ireland's newest and most flamboyant parliamentarians is giving up smoking cannabis so he can keep his seat in the Dail. Independent TD Luke "Ming" Flanagan revealed this week he is kicking the habit after rank and file garda called for him to be prosecuted for breaking the law." The UK Home Office has been forced to release a suppressed public draft consulation document on a recommended reclassification of controlled drugs. The 2006 review was finally released after three years of stubborn government resistance to a Freedom of Information request submitted by Casey Hardison, acting with the Drug Equality Alliance. On 9th July 2010 the government finally threw in the towel and released its controversial Review of the UK’s Drugs Classification system - a Public Consultation. Section 6 of the report reveals the reasons for its suppression: in paragraphs 6.8 to 6.11, the government admits illogical differences in treatment between the freedoms granted to users of the lethal and addictive drugs alcohol and tobacco, versus the criminalization of users of much less harmful drugs such as cannabis, LSD and Ecstasy. Do you consider that you live in a free society? If you do, then you should ask yourself just one question to verify that. Are you permitted to possess and smoke marijuana? If your answer is no, but you agree with such blatant restriction on your personal freedom, then you are a product of brainwashing, nothing more. Whichever, you do not live in a free society at all. Marijuana is a naturally growing herb. Like many wild plants, it needs no special cultivation, simply the right geographical and climatic conditions. Its consumption has an effect on the user’s awareness. Regardless of what the state empowered ‘experts’ wish to befuddle your mind with, it has no negative effect other than to facilitate a greater awareness by the user of the user’s own perceptions of self and surrounds. It produces a ‘high’, a generous feeling of calm and well being. There are many other ‘legal’ substances that produce an effect on the user’s awareness. Alcohol is the most widely sold such substance, but no one with any informed knowledge could deny that it is anything other than a depressant. Marijuana is quite the opposite. So why is it classified as illegal? Why does its use or possession result in the imprisonment and, in some countries, even the execution of those using it? How many complainants of what they refer to as the drug culture spend a part of their day or even week sitting in some bar drinking alcohol? How many of them smoke cigarettes or cigars, take sleeping tablets, take flu remedies? How many of them have never stolen a thing (come on now, picking up a pencil that doesn’t belong to you is stealing) in their lives? The latest moves in the pot saga came from the Dutch followed by the British governments in respectively permitting the proscribed supply of cannabis in a controlled form for medicinal purposes and in further liberalising laws relating to the use of cannabis. Of late, moves are now underway to legalise marijuana in the US. In Britain, cannabis was downgraded from a Class B to Class C drug, but possession could still lead to arrest and the downgrading was then again reviewed and cannabis regraded back to a Grade B ‘controlled drug’. This flew directly in the face of a specially appointed government review panel who recommended that cannabis be decriminalised and left as a 'class C drug'. The government, under Gordon Brown, flatly rejected its own review panel's recommendations. Holland came under pressure this year from the political idiots in the EU who wanted it to change its laws so that only Dutch citizens could purchase marijuana or hash in its many weed cafes. Yet the bottom line must surely be the question of just who has any right at all to dictate that possession, ownership or cultivation of a naturally growing plant in its raw form should be prohibited? And who has any right to impose any form of punishment for such an arbitrarily determined offence? Those who might argue that its the law of the land should remember that just because it may be so doesnt mean it is right. We live in confused and confusing times. Perhaps we always have. Stonehenge, pictured above, was once in private ownership  the inherited property of the owner of the land on which it stood. Out of deference to the historical value of the monument, its landowner bequeathed it to English Heritage. There were certain conditions to the transfer which the owner insisted on being agreed to by the new caretakers. The exchange of ownership went ahead on the strict agreement and understanding that Stonehenge would remain open, with free access to the general public, in perpetuity  an agreement signed by English Heritage. Despite this, before too many years had passed English Heritagecontrolled by central Governmentreneged on the agreement and the monument was enclosed by security fences so that it was no longer possible to approach without paying an entrance fee. The excuse at the time was the price of necessary maintenance and ongoing protection of the site. 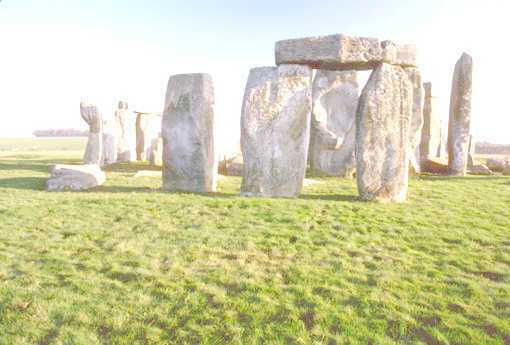 Happily in 2000 the restrictions were eased, Druids allowed to resume their solstice ceremonies at the monument, and other access restrictions were relaxed. But back to our ‘illegal’ substance. Would you stop me in the street and search me for dandelion leaves on my possession? Would you prevent me from smoking dandelion leaves rolled in cigarette papers? And if I had dandelion leaves on me, would you send me to prison for it, or accuse me of breaking the law, or of doing something wrong? Think about it. But then to be able to think you must first have a free mind, unfettered by the controls that have been enforced on people without let up for the past few hundred years. Have you a free mind? Contact me, and I will tell you. There is something nauseous about politicising on drugs. Linking and associating the general use of proclaimed illegal drugs with crime is a common error, but is an error that suits the purposes of those making it. There is no greater link than that between breathing the air and feeling hungry. There's just no point in driving into a known dead-end thinking that an exit will miraculously appear when all the time you know you will simply have to turn around and go back. Not unless you are a believer in miracles, that is. It is known that marijuana or hashish can enhance the imagination and the sexual experience. It is a naturally growing but yet in many places still an outlawed natural herb (for God’s sake), and yet the chemically synthesised Viagra and its derivatives, the long term effects of which have still not been fully assessed, remain unrestricted and commercially promoted. Such is the influence of profit-driven commercial greed. The reality behind the term drug abuse lies not in the use of illicit substances but in their uneducated use and in their uneducated control. For the moment, I will leave aside the issue of just what constitutes illegal drugs. In the 1950s the English tabloid newspaper, The Daily Mirror, carried the astonishing front page tale of a young man who went berserk with an axe, attacking people and property. He had, according to the report, been smoking hashish and, according to reported comments from police and medical officers of the time, it was the hashish that was solely responsible for the mans crazed actions. Maybe the reporter was just as numb to reality as those allegedly quoted, or maybe the tabloid newspaper was simply into rag sensationalism even way back then. The report was full of what would today be regarded as illogical inconsistencies but which were an accurate reflection of the general state of expressed common knowledge and belief of the time. In 1972, the author of this article, (who over 20 years later worked as a night stone editor at a Harlow newspaper press! ), was sentenced to a two year term of imprisonment for the possession of 0·9 grams (yes zero point 9 grams) of cannabis. A 21-year-old whom the author later met in jail and whose father occupied a prominent military position in the Pentagon, was sentenced to a term of six years in prison after being apprehended passing through Heathrow Airport with 1lb of hashish purchased in India in his possession. He was changing planes to continue on to the USA when he was apprehended. The London Times newspaper carried a lengthy report on the trial and made particular reference to the somewhat vitriolic concluding pre-sentence comments passed by the trial judge. He was intent, reported The Times, on making an example of the unfortunate 21-year-old, one Bill Owens of Austin, Texas, and the severe sentence would serve, added the judge, to warn others of the penalties and therefore the severity of the terrible crime of smuggling hashish. The fact that Mr Owens had been taking it home for his own use was never mentioned by the pompous judge. Mr Owens had been expecting a sentence of something like 30 months. The sentence poleaxed him, but he kept a brave face throughout. I don't think the length of the sentence ever fully registered, even while he was serving it. In the past four decades, terms of imprisonment amounting to probably several thousands of years have been imposed on people throughout the world whose only crime was the possession of a freely growing substance  marijuana, or its extract. Odd, given that those who smoke it generally do so to feel relaxed and free. Still, some still consider the legitimacy of being human a crime in itself. Of course the real issue behind the banning and criminalisation of marijuana possession is power. The power held and inherited by the descendants of the ruling aristocracy and the landed gentry, and those whose riches and wealth depend and have depended on a captive and compliant workforce. The insidious arm of political coercion, closely associated with business interests both local and national, was and remains behind the paranoia directed towards the smoking of hashish and marijuana. The British upper crust were long well aware of weed and its effects before its advent to widespread popularity in the 1960s. They had, after all, had plenty of experience of it from the early settlement and later military occupation days in India, Jamaica and elsewhere in the world where marijuana grows freely and naturally. Hashish is a curious substance that induces relaxation, reduces inhibition and enhances perception and imagination whilst at the same time having aphrodisiac propensities and the ability to lay you out stone cold. They were effects that were all too readily and all too unfortunately identified with the general demeanour and appearance of the so-called hippies and peaceniks, who goofed about, mumbled profound ideologies or just plain snored on crinkled mattresses. It is strange too that the only relative to the marijuana plant on planet earth is the banana and some banana related species of flora, even if all flora is in reality fauna. Sorry, this is not an exercise in semantics, but it is an examination of a situation that should bring constant shame on all societies who imprison people for the sale or possession of marijuana in any of its forms. To the politicians intent on GNP and to the business operators intent on success and profits, the combination of hippies and hashish was viewed as a portent of the bleakest doom. They could literally see their workforce dropping out like flies and business, profits, personal well-being and the whole country literally collapsing in smoking ruin to their personal detriment. The hippies were a people who took the blame for much during the height of their popularity, until the world awoke to the fact that it was knocking folk who were saying and doing in the main if not particularly good things, then relatively harmless things and they were, also in the main, becoming to be liked, if frowned over. Daughters and sons alike were warned of the dangers of the glassy-eyed hippy by parents who had been hippies long before the arrival of the hippy. Political and business paranoia had at its core a dread of the workforce finding freedoms they might not have known before. It was all a curious case of making mountains out of molehills to fit a preconception. Really, it was, and still is, all just about society growing up. Holland and Jamaica liberalised the laws of possession of cannabis many years ago, with no perceptible ill effect on the countries concerned other than perhaps a few more bleary morning eyes than before and perhaps a wider perception of thought. The positive aspect was that substantially less people were arrested, sent through the courts, or sent to serve terms of imprisonment due to the lack of any viable alternative to the courts at the time. In its early days of popularity, hashish became associated with the more potent narcotics by those who stood against its use, giving rise to further confusion. A definition of a narcotic is a substance producing torpor, sleep, or deadness; affecting the central nervous system so as to produce dizziness, euphoria, loss of memory and of neuromuscular co-ordination, and eventually unconsciousness. Pears Cyclopedia uses the following description for the term narcotic: a medical dictionary definition is that a narcotic is a drug that produces stupor, complete insanity or sleep. In terms of drug addiction, it has been defined as altering the users' perception of self and the external world, being taken primarily for that purpose. Strange that nowhere in the definition of a narcotic was the concept of addiction. Hashish and marijuana became the target also of those whose upbringing precluded their use of the substances but who considered, after trying a joint or two, that they knew all there was to know about the drug. The word drug is also peculiar. A good many people boil and make tea with nettle leaves which grow wild like the cannabis plant, but I have yet to hear a cup of nettle tea referred to as a drug, though Lapsing Souchon would qualify any day. The problem is really one of paranoid fear of the loss of control. Business is slowly but very markedly coming around to the view that the only good workforce is a happy one and a little knowledge, while perhaps in some ways a dangerous thing, is essentially going to become unavoidable. It's all a little like the guy scratching his balls in the company of a male friend and commenting were all men here together, unfortunately. The UK Government decriminalied the possession of cannabis in quantities deemed for personal use and consumption  a move that was only one stage removed from full legalisation, but then within a remarkably short space of time reverted back to its former stance. The move, if implemented, would mean that many people will have served terms of imprisonment, some quite lengthy, for something no longer considered a criminal offence  remarkable in that such sentencing occurred between the 1960s and the present and not in the 1700s. Given that, jailing someone for marijuana possession is a little more than just Draconian — its a crime against humanity. But then, the prison world itself has become an industry. Meanwhile in Ireland, calls have gone out for greater strictness in the laws relating to cannabis by increasing the number of drug testing facilities in the country. Alan Shatter, Fine Gael's justice spokesman, said there was a need for more drug testing centres to enable more prosecutions against offenders. What an offender is remains questionable. The law in Ireland is that possession of cannabis is still a criminal offence, even if only held in small quantities for personal use. Possession of quantities valued in excess of €13,000 invoke a mandatory 10-year jail term, one of the most insane pieces of legislation conceivable. Criminalizing cannabis possession opens the door to illicit trading and black market dealing and criminalisation alone makes such drug dealing an exceptionally lucrative business for some. In many countries, the laws against cannabis are archaic much as were the liquor prohibition laws of the US. The struggle to control black markets has seen the escalation of such profit-related drugs crime escalate and countless murders have been committed. The motive  not drugs, but profits. The question must be asked: Why is marijuana outlawed in supposedly liberal countries? Moving on to the legal drugs tobacco and alcohol. Newspaper articles, police stations, courthouses and prisons are full of people who have committed offences, often violent, whilst under the influence of alcohol, a legal substance that has resulted in the destruction of thousands, perhaps millions of families and the wreckage of thousands of lives down through history. This is quite unlike those who use marijuana. True, there are many in prison who have used marijuana and have committed offences, but there are also many police officers serving prison sentences for criminal activity. Unlike alcohol, there is no established link between the use of marijuana and criminal activity. The bulk of marijuana users in jail are there because they simply used it. This is not to say that the drugs problem is non-existent. I have witnessed several friends lose their lives down the years to heroin and hard drug abuse and addiction. Despite the academic arguments otherwise, the gap between hard and soft drugs is wide, with very little linkage between use of the differing drugs themselves. The real problem is much more complex and much deeper and requires dedication, education and care to tackle, in far greater quantity than punishment. Newsmedianews wants YOU to tell the world your true stories about hashish and marijuana experiences and recollections on its Stoned AgaIn features page. You are invited also to frankly speak your views. Cannabis resin has been proved to be more carcinogenic than tobacco. In line with this, I would be keenly interested to hear from anyone who has experienced trouble in obtaining medical services or who may have been treated with less respect due to admitting to the use of cannabis, bearing in mind that such difficulties are not put before those who develop respiratory trouble due to breathing exhaust laden fumes in cities. If you'd like your identity kept confidential, make sure that you say so at the beginning of your e-mail message. All such requests will be fully forgotten honoured. If my innards shrivel, my lungs collapse, all the little fishes escape the sac and my brains vacate my cranium you have my express authority to use my real life story in your research.